Australia’s first peoples practised agriculture for thousands of years prior to the continent’s European colonialization. Despite these practices being recorded by early explorers, they have been almost absent from Australian historical records until recently. 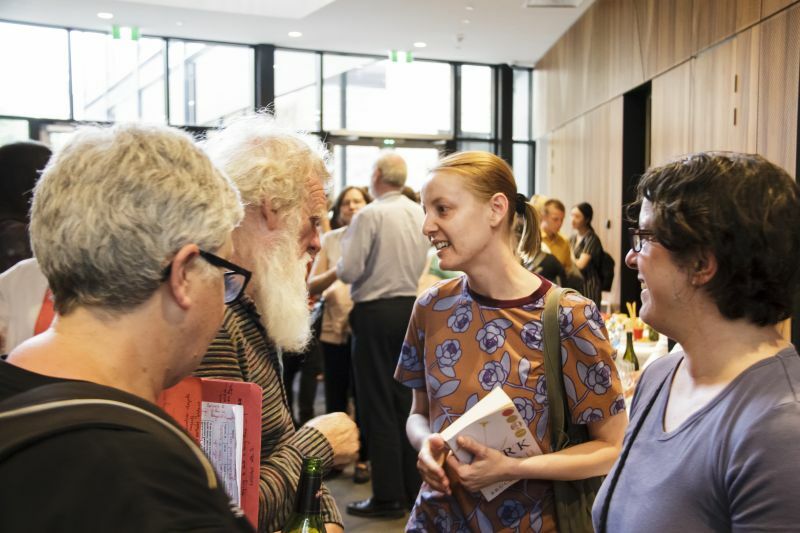 In the keynote presentation attended by over 220 people for the Faculty’s Research Week 2018, Indigenous writer and anthologist Bruce Pascoe, drew on research from his most recent book Dark Emu: Black Seeds: Agriculture or accident? to illustrate Australia's long history of pre-colonial agriculture. Awarded the NSW Premier’s Book of the Year Award in 2016, Dark Emu includes compelling descriptions of pre-colonial Aboriginal agriculture based on accounts from early European explorers. Mr Pascoe argues that Australia must reconsider the ‘hunter-gatherer’ conception of pre-colonial Aboriginal Australians and answers questions from the audience on a wide range of topics including Indigenous methods, sovereignty and culture. His insights into pre-colonial Aboriginal systems of food production and land stewardship are highly valuable for researchers and is important to consider in the context of an agricultural nation dependent on introduced crops in a changing climate. This is an area of growing interest in Australia. A starter including kangaroo grass, a native grain found throughout Australia, has been reported to accelerate the baking process and deliver novel results and Mr Pascoe has worked with groups to increase cultivation of native food crops. 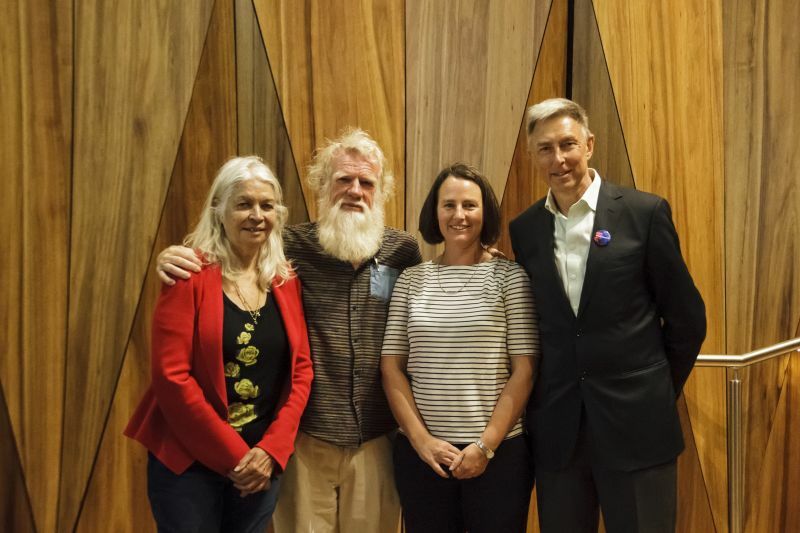 Left to right: Foundation Chair in Australian Indigenous Studies Marcia Langton, Bruce Pascoe, food scientist Kate Howell and the Dean of the Faculty of Veterinary and Agricultural Sciences John Fazakerley. Mr Pascoe discussed research to better understand how kangaroo grass can be used in baking by a food scientist in the Faculty’s School of Agriculture and Food Kate Howell, which he had contributed to; a poster on the subject by Dr Howell received a Best Poster prize during Research Week. “There’s something going on with kangaroo grass,” he said. “We don’t completely understand it yet, but all the indications are this is a very important food. People get concerned that its yield per acre is a fifth of the yield for wheat, [but] it’s a perennial plant. Mr Pascoe also discussed other native food crops and methods including the murnong (sometimes called the yam daisy), a native tuber; the ngardu (nardoo) plant, a water fern also used for flour; and Indigenous aquaculture systems. Guests gather for conversation, food and drinks after the lecture. He also responded to audience questions on collaborating with Indigenous people as a researcher, cultural burning of the land to revitalise native ecosystems, food sovereignty, preparation methods and his views on a treaty between Australia’s governments and traditional owners. “We need to learn about that system. I’m a bookish sort of person, so I think ‘literature search.’ But you can’t forget actual discussion with aboriginal people…There are still people around… who remember what [their] Elders did. Bruce Pascoe signs books and speaks to attendees after the lecture. Story and images by Stuart Winthrope. 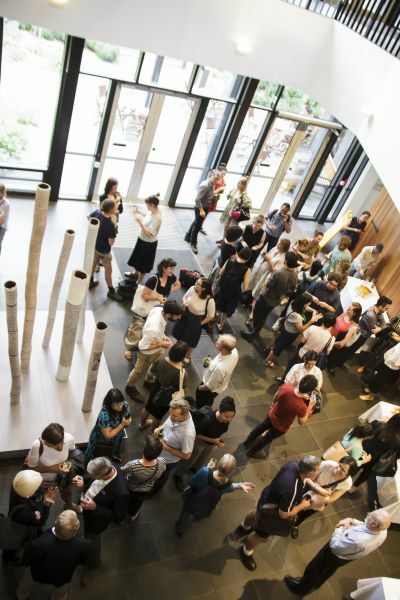 Banner image: Over 220 people gathered in the auditorium of Trinity College’s Gateway Building for the presentation.